...a tickety-boo bungalow in River Park South! 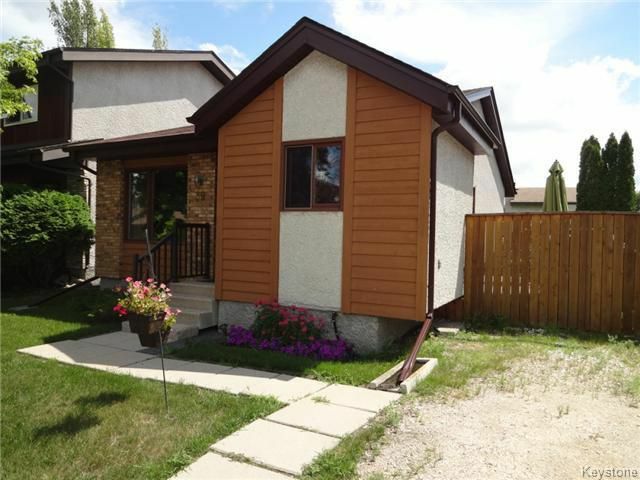 3 bedrooms, 2 bath including basement hot-tub, open concept mainfloor, huge green lot with fence, back deck, central air, great curb appeal, walking distance to Burland school/park, only minutes from St. Vital center and all the amenities of Dakota and St. Marys road. UPGRADED :furnace, flooring, central air, hot water tank. includes all appliances, alarm system and handy back yard shed. What great value! South St. Vital/River park south specialist Realtor Real estate agent in Winnipeg.